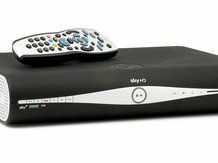 BSkyB's insistence that it will hit the 10 million subscribers mark by 2010 is looking less concrete – with reports of disappointing sales in the last year forcing analysts to revise their predictions. The satellite broadcaster, focusing heavily on its top sport and film rights, has quickly become a major player in the non-terrestrial market, and the company was hoping that it could surpass the eight figure mark by 2010. However, Digital Spy has reported that sales will be closer to 380,000 in 2007/08, some 28,000 less than the previous year. This has led to the likes of JP Morgan and Credit Suisse predicting that Sky will now fall short of 10 million. Morgan Stanley's prediction of future sales also left the newly projected total short of 10 million, although it believes that close to 400,000 subscriptions will be sold in 2008/09. In truth, Sky's focus already appears to be moving towards its higher end products such as HD and Sky+. The latter is receiving major attention courtesy of a huge ad campaign involving major names such as Michael Parkinson (and lesser ones such as Kelly Brook and Mariella Frostrup). However, the arrival of rival FreeSat – which broadcasts free-to-air satellite signals and can be received for a one off payment for an STB and/or a satellite dish installation – will be on Sky's minds, as it looks to hold on to its lower end customers.